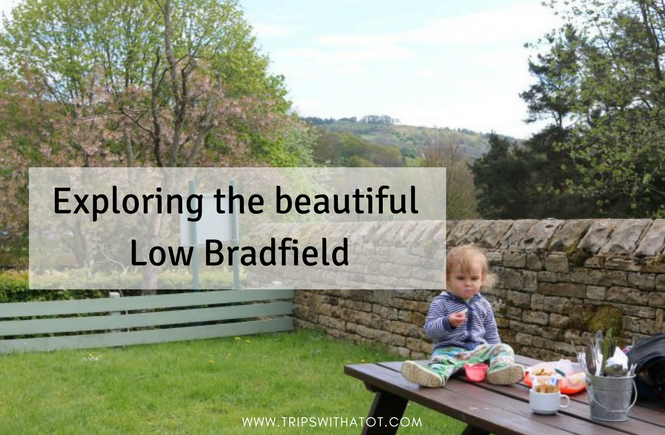 Low Bradfield is a cute little village in the Peak District on the edge of Sheffield, tucked away from the city. 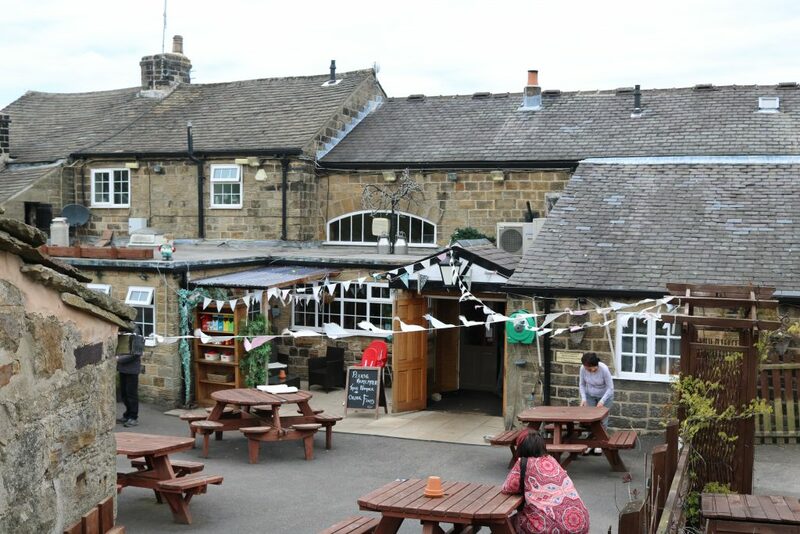 It is accessible by bus routes from Sheffield on the 61 and 62, and is 6 1/4 miles south west of the city centre. 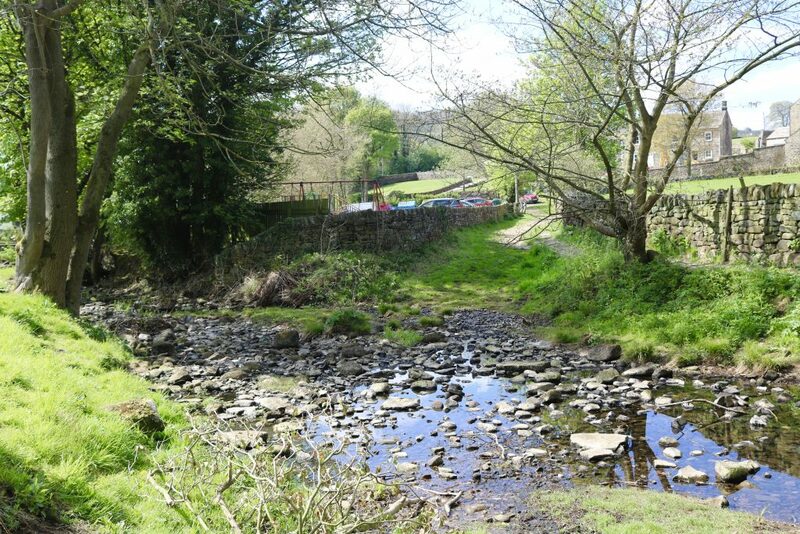 I have been to Low Bradfield a few times as it’s here where you can start a walk around Damflask Reservoir which is something I like to do a few times a year, especially with groups of friends, as it is accessible for all. 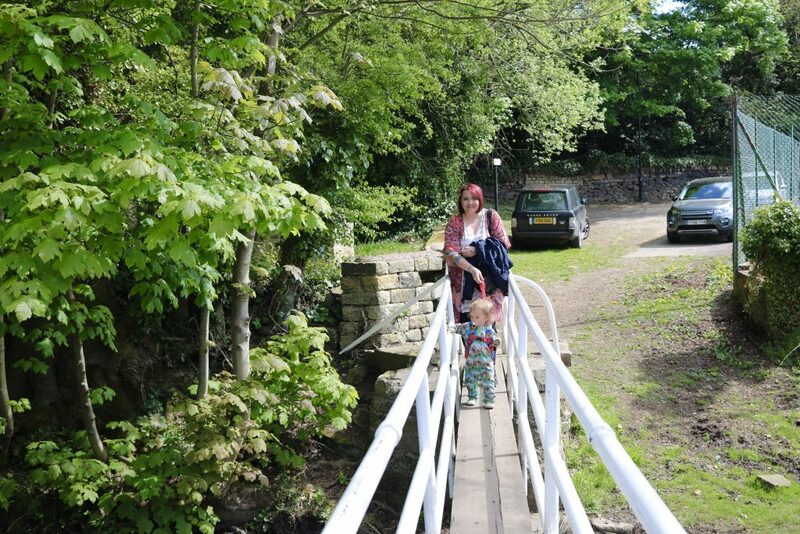 The walk loops around the reservoir in a circular route with flat, accessible paths. It is an easy going walk of around 3 miles and usually takes an hour or so, with The Plough; a good end point for drinks/food. 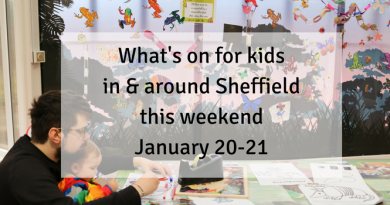 The School Rooms Deli/Cafe is another good option for nice food and drinks, it has a play area in the garden and a bouncy castle for kids. 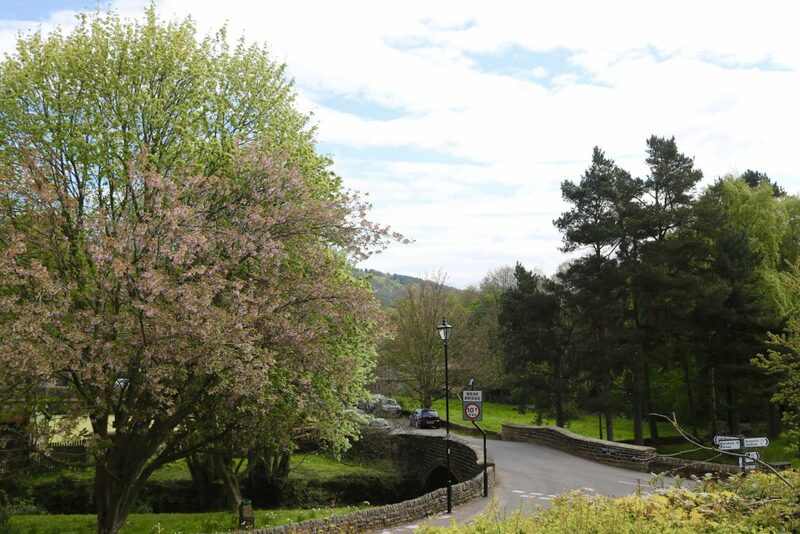 There are many other reservoirs in the area of Bradfield; Dales Dike, Strines and Agden reservoirs. There are lovely views across the Peak District with rolling views and many farms mean there are always animals to spot. 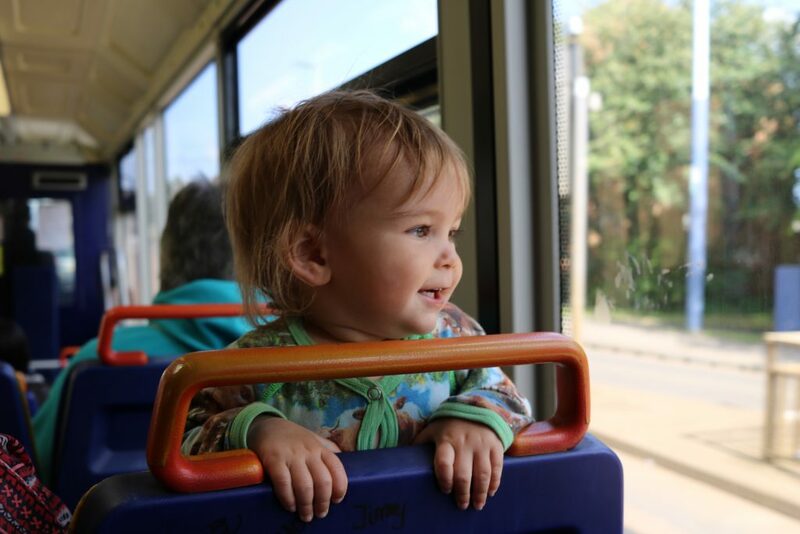 My son loves the bus journey from Stannington through into Low Bradfield to spot all the cows, sheep and lambs! 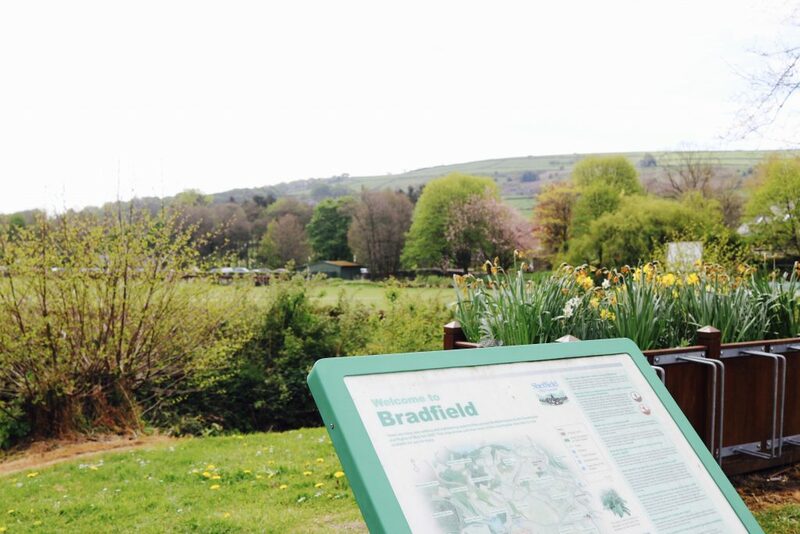 History of the Bradfield area dates back to the Anglo-saxon times, with the earliest evidence of settlement being 3 miles north west of Low Bradfield which was believed to be a resting or burial site over 4,000 years ago. That is pretty cool, and makes a visit there special! It feels very old and just walking around feels like you have discovered a little hidden gem. The village is small and so makes a good place to toddle around for the day, with all of the family, but especially toddlers. 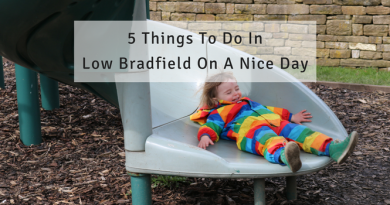 On this day, I didn’t go to Low Bradfield to do a Damflask reservoir walk; I took my mum with me, and we just explored the village on foot. 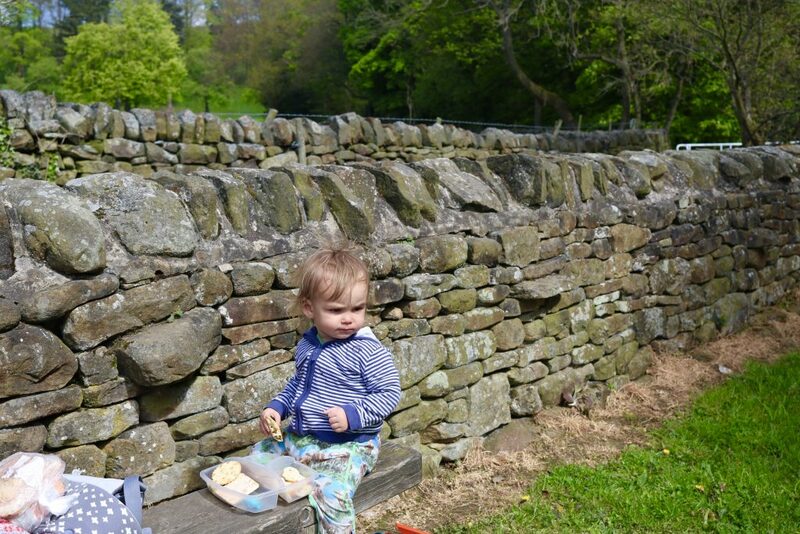 We took Eric to the playground, which had the most lovely views and animals just over the dry stoned wall. 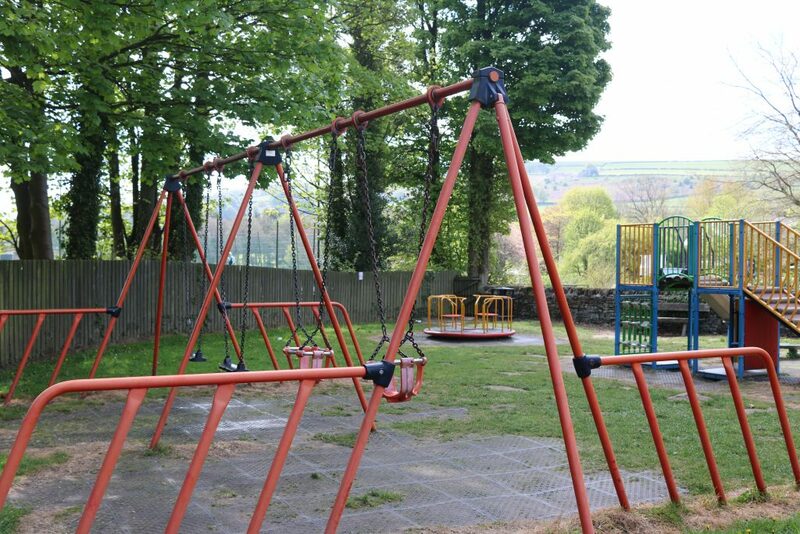 Village playground, just behind the Bowls club and next to the car park. 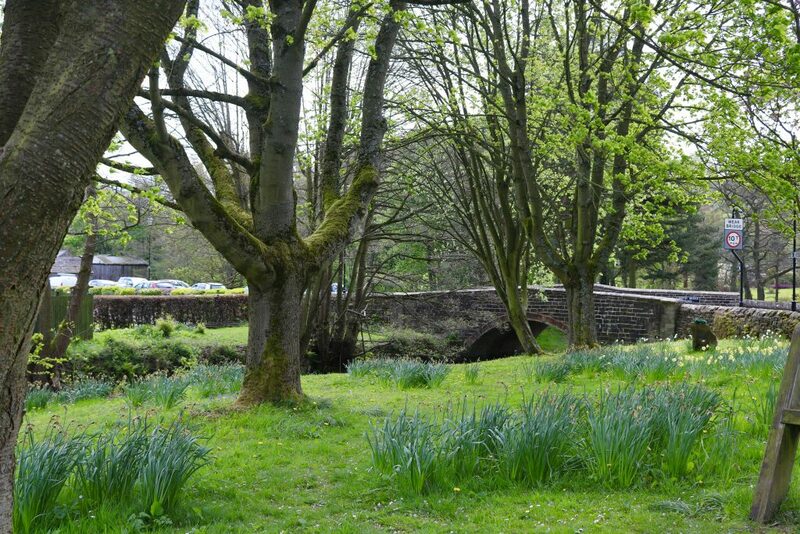 The way from the playground to Smithy Bridge (for ducks or The School Rooms) is obvious; there is a small bridge just outside the playground gate which leads you across the Bowling Green, over another small bridge, onto a small pretty green with a gate onto the road opposite The School Rooms. It is obvious where to go, it just sorts of leads you there. We headed across the road to The School Rooms deli/cafe next. 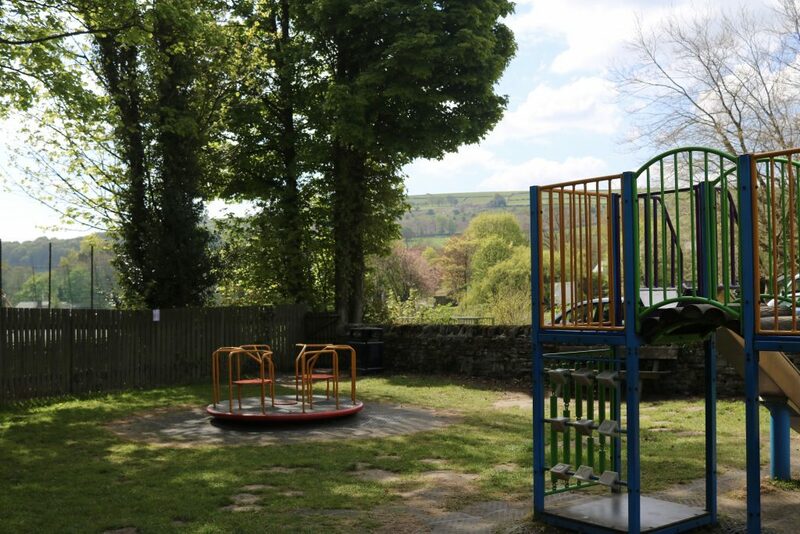 With a play area outside around the back including bouncy castle, it’s perfect on a sunny day to sit and enjoy a coffee while kids play. 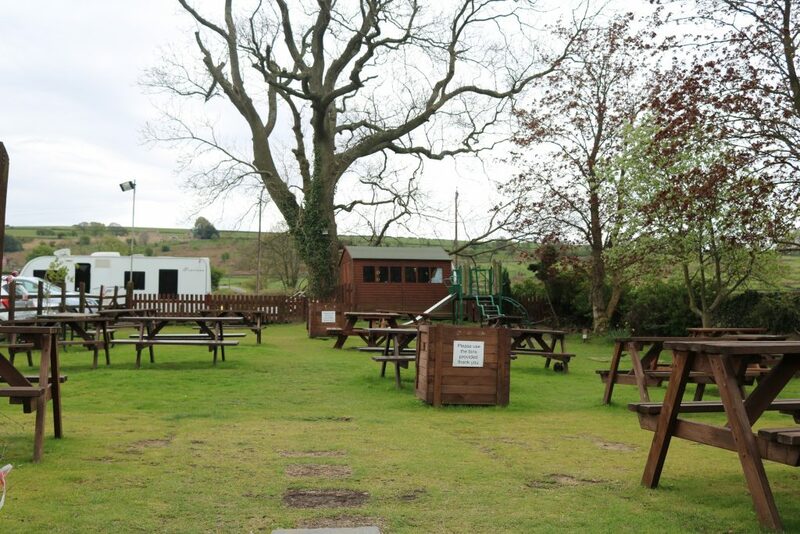 It is safely away from the car park and situated at the back, off the road, not near any traffic. 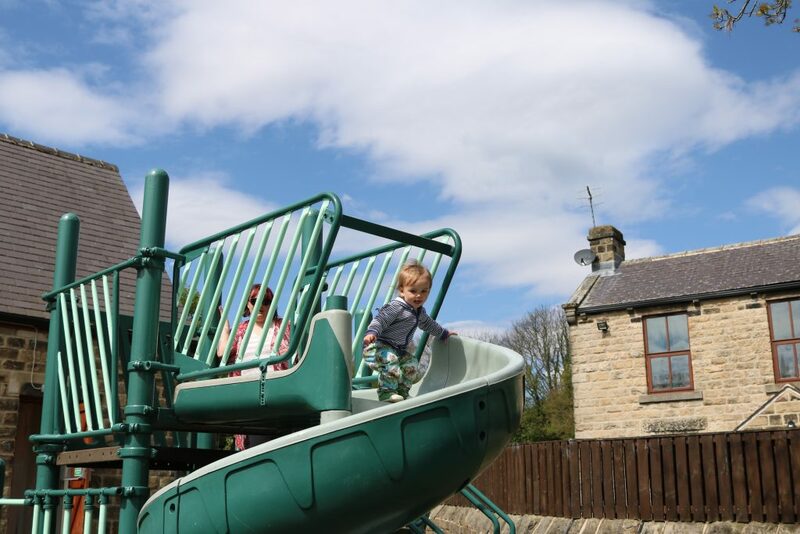 There are such gorgeous surroundings, and a curly slide! 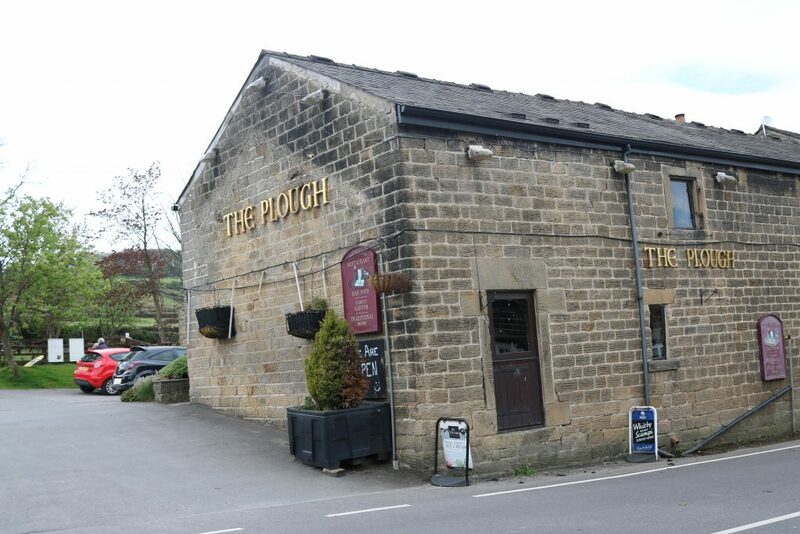 If you need another watering hole (or food) in the area, just up the road is The Plough, a pub suitable for families, dogs, and friendly to all. 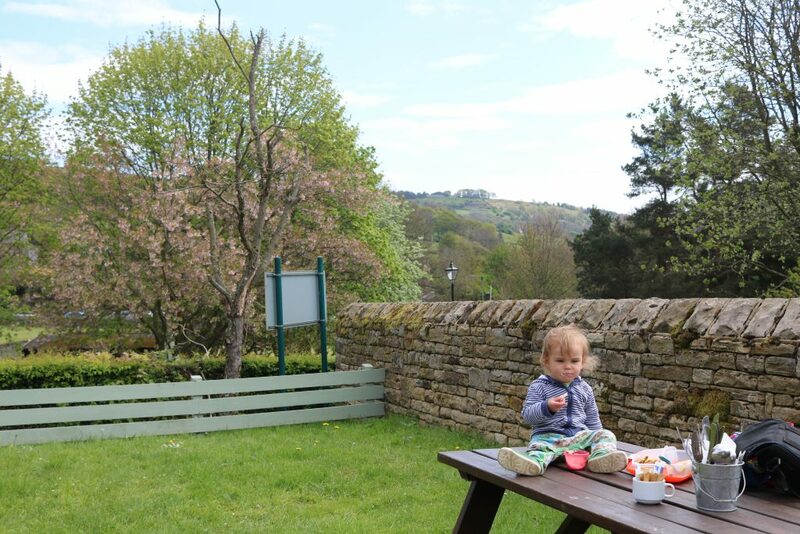 There is a good beer garden, lots of tables to eat outside, there are resident bunnies hopping around and a small climbing frame to entertain littles. Who doesn’t love bunnies? 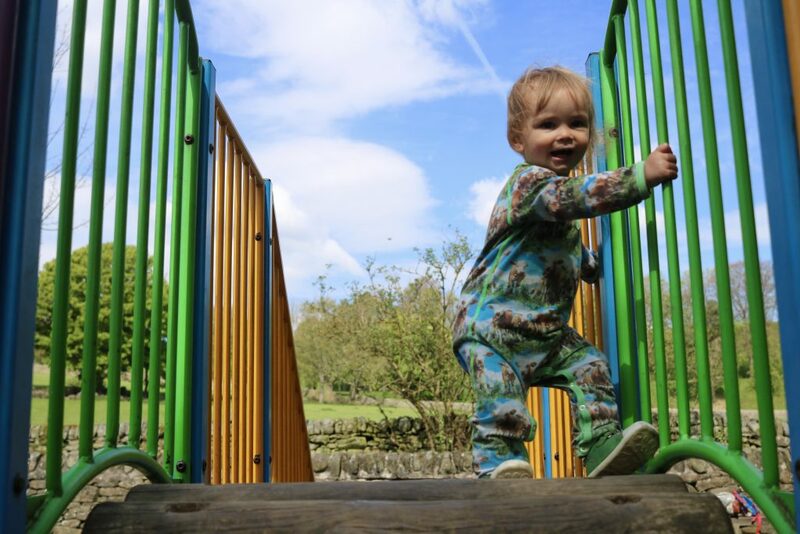 The village is small and can all be explored on foot, toddlers will manage wandering around before a nap time, without having too tired of feet. 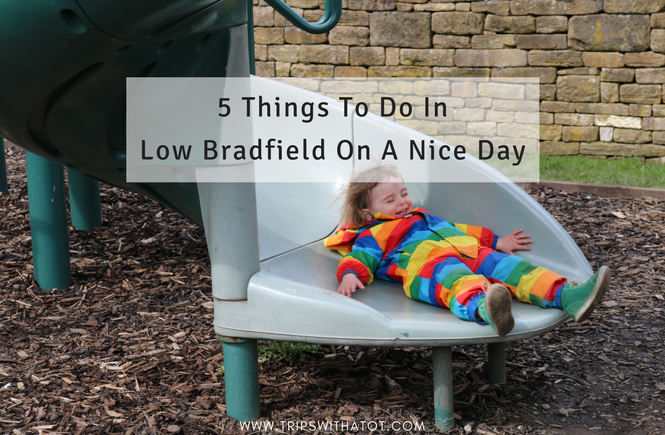 It’s a lovely hidden gem just out the outskirts of Sheffield to spend a few relaxing hours. 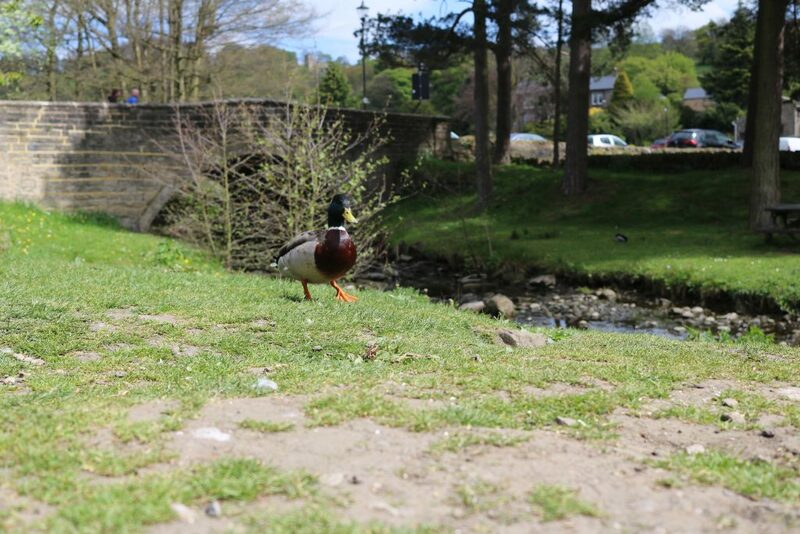 Where are your favourite places to go in the countryside? 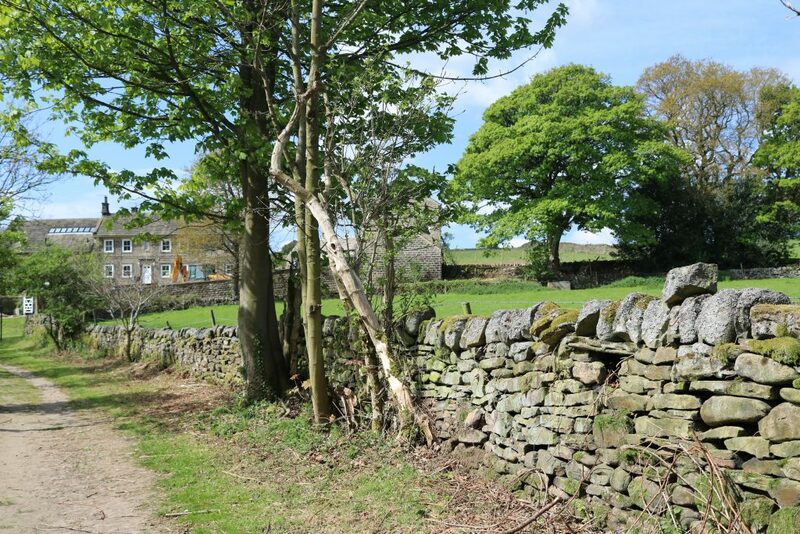 For more blogs on the countryside, read our day in Eyam visiting National Trust Eyam Hall, our walk at Longshaw Estate and Padley Gorge, and 6 beautiful countryside walks for families.